With more and more consumers shopping online, there’s no better time than now to operate an online business. But, taking your business online doesn’t come without its challenges, including the risk of online credit card fraud. Online fraud cost e-retailers $3.5 billion in 2012; and amidst the switch to EMV technology, fraudulent activity is expected to increase, as criminals rush to cash out before EMV cards completely takes over. While fraud is a growing problem for businesses, there are many ways you can minimize your risk of falling victim to cybercrime. Consider the following online fraud prevention tips. The three- or four-digital number on the back of the card is the credit card security code, known as Card Verification Code (CVC). Requiring customers to enter this code ensures the card is in their physical possession. This code is not printed on receipts, and retailers are forbidden from storing it, even if they save a customer’s information for future transactions. Cybercriminals usually have the credit card number, but not the physical card, so this reduces the risk of fraud. When customers create an account with your business, require them to use a strong password that’s difficult for hackers to duplicate. Longer passwords with a combination of capital and lowercase letters, numbers, and symbols are hard for cybercriminals to generate, making it more unlikely for customer information to be breached. Include Address Verification Services in your online fraud prevention plan. This service compares the credit card and address the customer enters with the address on file with the issuing bank. This can also allow merchants to verify the billing address provided by the purchaser to the address on the cardholders’ credit card statement before approving a transaction. 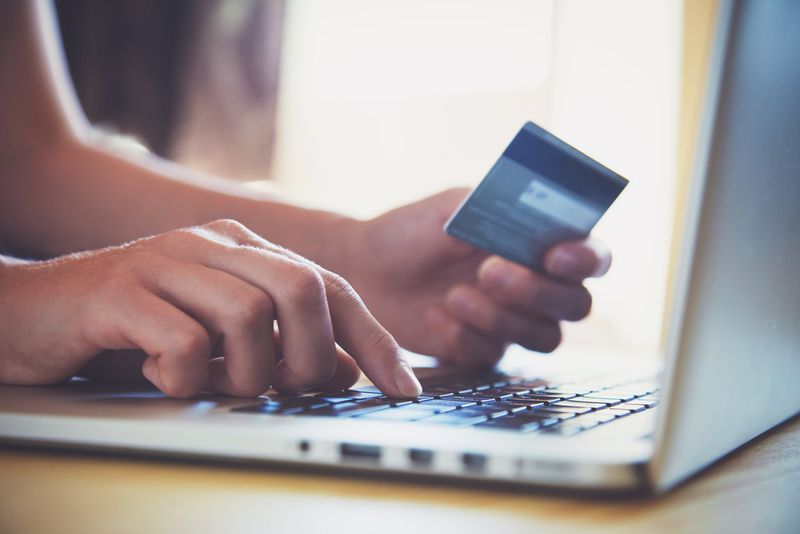 At First Atlantic Commerce, these and other online fraud prevention tools are available as part of our payment processing services. Our tools are also available as an independent service that can be implemented with your existing gateway system. Be on the lookout for suspicious behavior, such as users with several accounts, transactions at odd hours, and numerous orders shipping to different addresses. Also look into purchases of multiple large ticket items. Hackers typically buy large ticket items with the intention of selling them. The hacker may be trying to purchase as many big items as possible before the card is flagged. Visit us online at FirstAtlanticCommerce.com for quality online fraud detection tools that will pick up on abnormal orders and protect your business from fraud.